Lifetime warranty is a confusing term that means only what the manufacturer defines it to be. In other words, every lifetime warranty is different and can be defined by the manufacturer of the product, seller of the warranty. 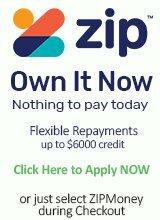 A two-year warranty, for example, is much easier to define than a lifetime warranty . The word warranty can also be misinterpreted. Warranty usually doesn’t guarantee replacement, but can instead guarantee repair of the part. Warranties also specifically state that the product has to have been used as suggested by the manufacturer, and any damage resulting from misuse may void the warranty completely. A guarantee, in contrast, may mean replacement. The word lifetime is open to interpretation. Lifetime typically does not mean the person’s lifetime or the length of the time they own a product. Instead it usually means expected life of a product. Manufacturers may determine how long something will last and then give it a lifetime age. While there is no reason to avoid products that carry a lifetime warranty, there is reason to inquire about the meaning of such warranties. 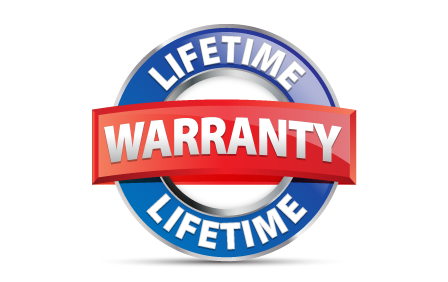 Often these Lifetime Warranties are used in marketing to give confidence in the product and promote sales, with many people falsely thinking they’ll get replacement on a product as long as they live and own the product. This means it’s always up to the consumer to figure out how to interpret their warranties. These by no means infer that a product is bad. However, if the warranty is the selling point, customers need to figure out just what they’re buying. The question remains: what's a lifetime? Is it the lifetime of the business? The lifetime of an Ant? The lifetime of the owner? Or is the lifetime something else: a period that's not exactly defined but is probably the expectatation that a product is expected to either wear out or become obsolete before it becomes defective? Lifetime warranty is usually for replacement of like items only. Lifetime warranty does not cover items out of production if "the company" no longer stocks them. This warranty is valid only for the original buyer but not transferable. Lifetime is defined as the lifetime of the product on the market. Outdated technology is not covered by lifetime warranty if the item is no longer available on the market as a new product. Manufacturers average the life of dead products and base the warranty on that figure. Say that on average a stick of ram died within 3 years, then that would be the lifetime period for that particular product. Unfortunately there is no clear definition of what the "Lifetime" of a product is. Each manufacturer may have a different definition of what the "Lifetime" of their product is. To me, a "Lifetime Warranty" is merely a marketing tool that gives the false impression that the product has an endless warranty. If given the choice, I would much prefer a clearly defined warranty like 2 Years etc.